Home | Blog | My Trip to the Oldest Township in South Africa! My Trip to the Oldest Township in South Africa! My first week in Cape Town, my study abroad provider, IES Abroad, welcomed us and provided us with the in and outs of studying in Cape Town. We went over pertinent information, such as academics at the University of Cape Town (otherwise known as UCT, which is the school I’ll be studying at this semester), safety in Cape Town, and even what our medical insurance covers. We also took a few trips to some attractions, such as Camps Bay Beach and Signal Hill. Guga Sthebe is a public space where communities can come together and enjoy art, design, and performance. It’s a venue in which locals can rent for events, come to develop their art skills, or simply shop around for a gift for a loved one. My favorite part about this Centre is that they give back to the community. Through sales and training of anyone interested in becoming a more skilled artist, the Centre gives back in many ways, which encouraged me to donate to them through the purchase of one of their art pieces. This museum served as a time machine, providing a glimpse of what life was like during the apartheid. Similar to the U.S., Black Africans in South Africa faced racism and discrimination. 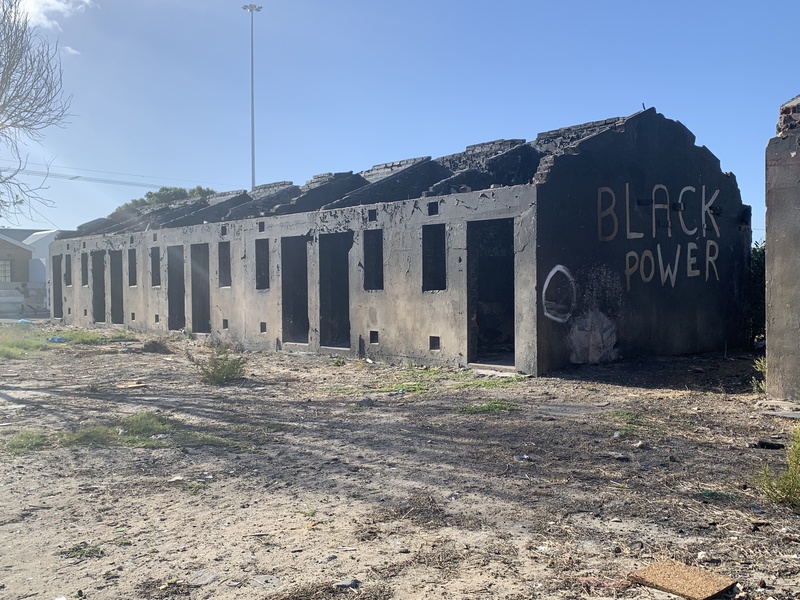 The Langa Pass Museum was Langa’s old pass office, where Blacks had to present their identity cards and were tried for breaking the pass laws. Passes were required for Blacks in order for them to move in and out of certain regions, and it was one of many tools used to restrict their freedom of movement and residence. To me, this Museum reminded me of how my ancestors had to live through laws/practices that made life harder for them, such as the unnecessarily challenging/impossible literacy test they had to pass in order to register to vote (see below for an example of a few questions asked).